Most importantly, these movesets are based on in-game usage, although most, if not all, could likely be used in the competitive arena. (“In-game” refers to Wi-Fi matches at best.) This is mainly because the general population does not have easy access to perfect Hidden Powers and DVs. This has been reflected in the guide by giving extra options with every suggested Hidden Power and by the use of simple EV spreads. (252/252/6 or 252/129/129) Obviously, getting the perfect Hidden Powers and DVs would make a set much better, and I have not limited the movesets very much. At best, this guide could also serve as a basis for competitive gameplay movesets. Also remember, this guide only gives you suggested movesets for every fully-evolved Pokemon, and there are bound to be some variations of the movesets that you can make on your own that work just as well or perhaps better. This means that if you use one of these sets, it’s not like you have to do it exactly the way it’s shown or proposed. There are also some strategies that have been omitted from the guide just because they’re common and easy to use for most Pokemon. One example would be the Sunny Day + Solarbeam combo, which is a common duo among most Grass Pokemon’s move pools and even some other Pokemon, like Xatu. Some sets may still be there anyway, but that just means that it’s one of the best strategies that that Pokemon can utilize. So just because there's no "/Flamethrower/Ice Beam/Thunderbolt/Shadow Ball/Psychic/Hyper Beam" on the Mew set doesn't mean that it's an error. **: Reasonable yet not recommended. *: Do not take seriously. Also, a thanks to pokemonelite2000 for their sprite resource. Enjoy! Last edited by tiger10x on Sat Sep 01, 2007 9:14 am, edited 13 times in total. Last edited by tiger10x on Sat Sep 08, 2007 1:08 pm, edited 2 times in total. Last edited by tiger10x on Sat Sep 01, 2007 9:17 am, edited 12 times in total. Last edited by tiger10x on Sun Aug 12, 2007 5:15 pm, edited 11 times in total. These moves are great but they might be confusing for me. Or atleast until I get the Game. Dude, they are brilliant! It must have taken ages to do that...well done. However, is this topic open to suggest movesets or changes to the existing ones? Regardless, I just wanted to congratulate you on coming up with it all. How is it that Darkrai has no sleeping moves in its moveset? If this is for in-game, hypnosis or dark void (that move that puts both foes to sleep) should be an obvious addition since you don't need to use dream eater or nightmare to get damage off of them as they sleep. If it is for competitive battle, it'll at least force a switch. is this topic open to suggest movesets or changes to the existing ones? Yes, it will remain open for suggestions and reporting errors. It will be used just like the other standard moveset topics. And daveshan, Darkrai does have Dark Void. Oops. My bad. I saw dark void and thought dark pulse. Just one of those things. How come there is'nt a special sweeping Sceptile?It can use moves like Energy Ball, Dragon Pulse(if able) and Focus Bomb. Also I read in Gamefaqs that Dialga and Palkia each have a special orb as hold item which raise some of its STAT's. Thank you so much. Now i know which moves to use and my Milotic will be stronger with Dragon Pulse. Great guide. Sceptile must not have had a special set because at the time, I must have thought that with only Energy Ball and Dragon Pulse for significant moves and Focus Bomb as its third best was not worth a set. Anyway, I edited one in. And I don't know much about the Dialga and Palkia orbs, so I'll just wait until I can get that information. For the physical sweeping lapras set, how come it has curse instead of dragon dance? Curse will also boost the physical defense, while getting rid of relatively useless speed. Actually, the best way to change the stats would just be the nature. If it's changed to Sassy, the large Sp Def stat will be boosted significantly compared to Modest not affecting the Sp Atk stat too much. It lowers Speed, which Claydol doesn't really need too much of if it can defend. Either way, it's not like you're going to want to do a lot of damage with Rapid Spin, the only definite physical move there; it's there for the effect. And Explosion wouldn't be very much affected by Modest either. So, I'll change it to Sassy and keep the EVs the same, as they look reasonable. Twenty-five percent isn't that much. Especially when you consider that a life-orb will give a 30% boost to all attacks and the life-draining isn't that big of a penalty when their attack stats are that high. Oh so thats what Life Orb does. I posted in the Sinnoh rating Centre to find out thanks. And how much does it take away? Not sure. I'd imagine as much as leftovers heals. What might be nice to see is how well metranome works. It raises a move's power when it's used in succession. I also would like to see which pokemon could use damp rock, hot rock, icy rock, and smooth rock. They each increase the duration of a different weather move. Congratulations (and thank you) for the guide. I would like to suggest a hit-and-run moveset for salamance. And how is it that milotic has no aqua ring????? Is like a second leftovers for a tanky pokemon, definatelt an otion to be considerated. If you put protect on the set too you have something that wont even need a recovery move since is getting 1/4 health back every two turns. Thank you so much for doing this, tiger10x and everyone that has contributed. I think you deserve lots of credit for doing this, because in addition to being a really nice thing to do in general, this might perhaps be one of the most helpful tools for when P/D comes out. I was just looking at Empoleon, and it doesn't have a moveset that really compliments it's really good special attack and special defense. But the ones that are already there are all really good, though. I just have a suggestion. 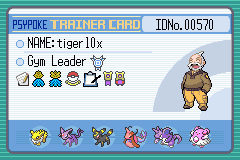 I'm not good at all at making movesets, and I'm not yet familiar with all the EV business, so please bear with me here. Or something like that. I promise I'll do more research next time. To be honest, I would say that Empoleon's special stuff is best put to use in the way that it was in the first moveset, the mostly defensive one. At best, I'd say replace one move there change the nature to Modest. I don't think it deserves a totally new set for it. Oh, and I edited most of the previous stuff mentioned earlier but didn't say anything; thanks. Oh, okay then, i tried, lol.